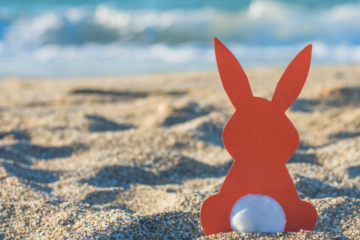 Sun, sea and sand are all in abundance in Algarve, and when you couple that with a friendly atmosphere and an abundance of great places to eat and fun things to do you’ve already got a fantastic family holiday in the making. Our range of luxury villas in the Algarve offers loads of great places for families to stay, with extras and amenities to make things go smoothly whether you’re taking a baby abroad for the first time or heading off with teens. 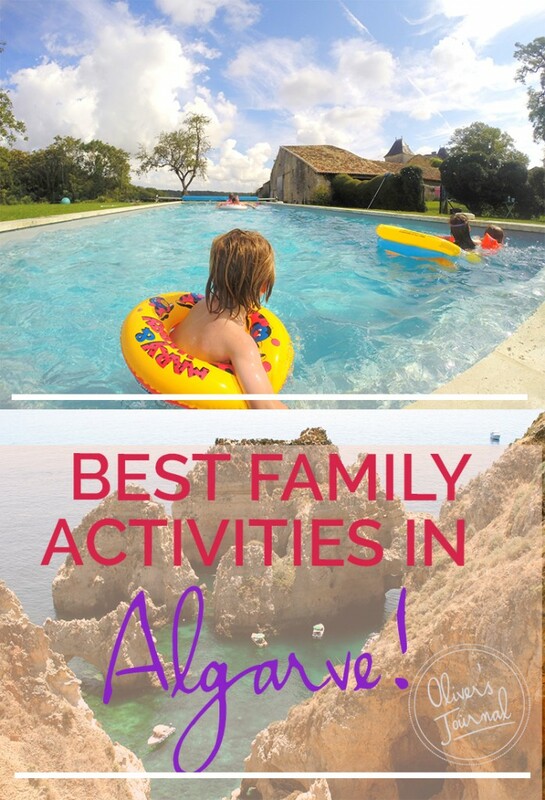 And to make sure you all get exactly the kind of holiday that’s going to make for some cherished memories, we’ve put together our list of suggestion of the best family activities in the Algarve. 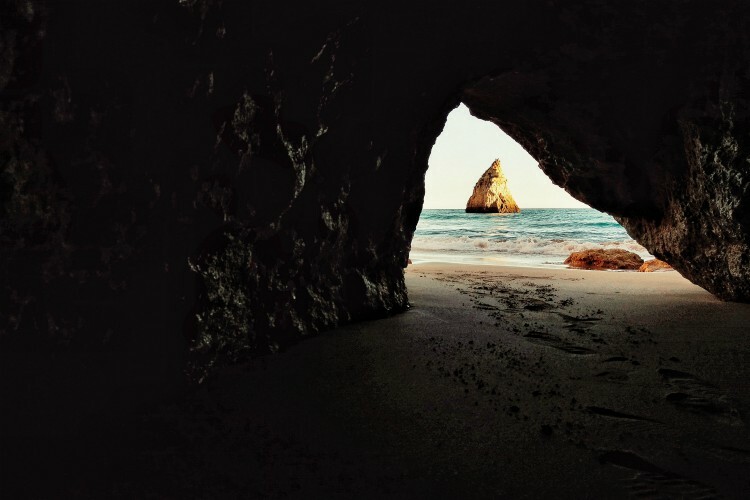 Why go: Dolphins, caves, kayaks…need we say more? 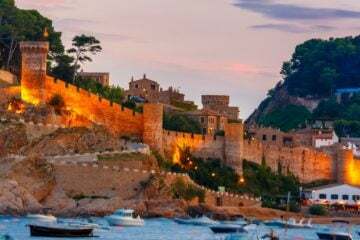 This fantastic company operates out from Albufeira and offers two trip types – both highly recommended. If canoeing is your family’s thing then the half-day guided kayaking trip, which involves paddling though caves and exploring rock formations will hit the spot. For an exciting few hours at sea, zip out on a 12-person RIB boat to see hidden beaches and caves, stopping for a swim along the way. Then set the course seawards to seek out dolphins frolicking in the deep blue. 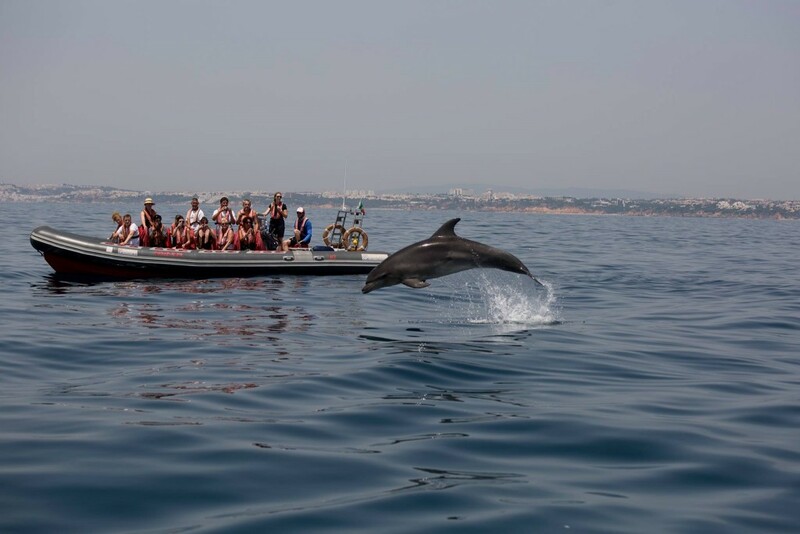 Dolphin Driven are committed to marine preservation and ecology awareness so you can rest assured that your seafaring activities are safe and will not endanger the ecosystem. Why go: Are your rabble of swashbuckling little pirates ready to hit the high seas? 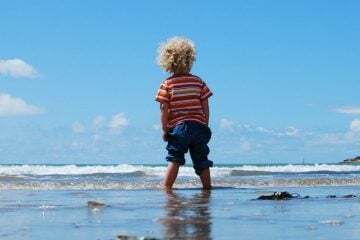 If the answer is yes then a trip with Dream Wave will make you very popular parents indeed. Join the crew for an adventure on their historical pirate ship. Feel the wind in your hair as you watch the magnificent sails unfurl. You’ll make headway around the coastline, peaking into its hidden pockets of blindingly-bright sandy beaches. While you soak up the views, kids can charge around on the ample deck living out their pirate fantasies. Fear not – wayward seafarers won’t be forced to walk the plank. Why go: For a break from beach life, head inland to the cool interior of the Algarve. Here, in the scented pine forest, you’ll meet with a challenge that will leave you feeling truly exhilarated. Completing this high ropes course means traversing from tree to tree using nets, bridges and zip lines. As well as giving you an incredible bird’s-eye view, this adventure will also test your physical and mental ability. This is a fabulously different family bonding expedition that you will all talk about for years to come. 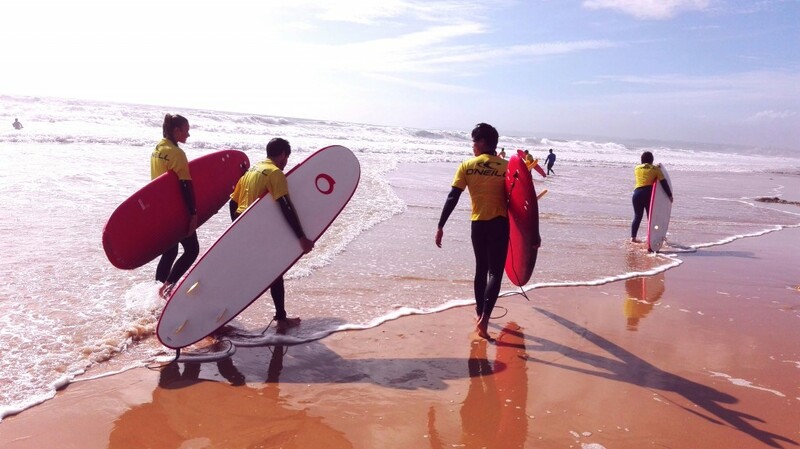 Why go: Whether learner or seasoned pro, everyone can find a surf to suit them in the Algarve. The waves tend to be smooth rollers, which break onto the beach, making it a safe and easy place to ride. Albufeira Surf give 30 minutes of on-beach instruction before kids even get wet, and lessons include hire of wetsuits and boards. For an alternative to surfing, try stand up paddleboarding, the latest water-based craze and a sport that is steadily gaining popularity, largely due to the ease with which beginners can pick it up. A SUP surfari is a fun family day out where you can get up-close to the rock formations, caves and crystal clear water that characterise the area. Why go: Are there any mini-Wimbledon wannabes among your brood? If so, send them to Valo do Lobo Tennis academy – a great outlet for energetic children and teenagers. This vast complex has 14 courts and is run by one of Portugal’s top coaches, former tennis professional Pedro Frazão. Kids can enjoy individual coaching or bond with other tennis-mad youths in a group lesson. There are fantastic facilities for mums and dads too including a sauna, steam and swimming pool. 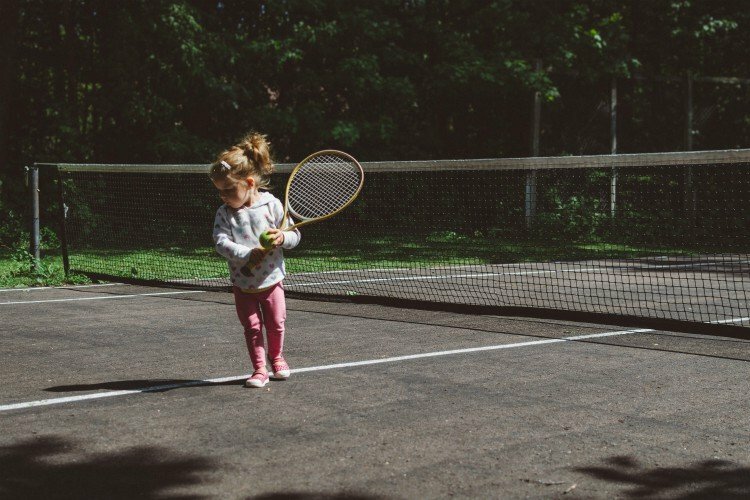 Many parents seize the chance to sharpen their game too; a few one-on-one coaching sessions can help you keep up with your tennis-honed offspring. 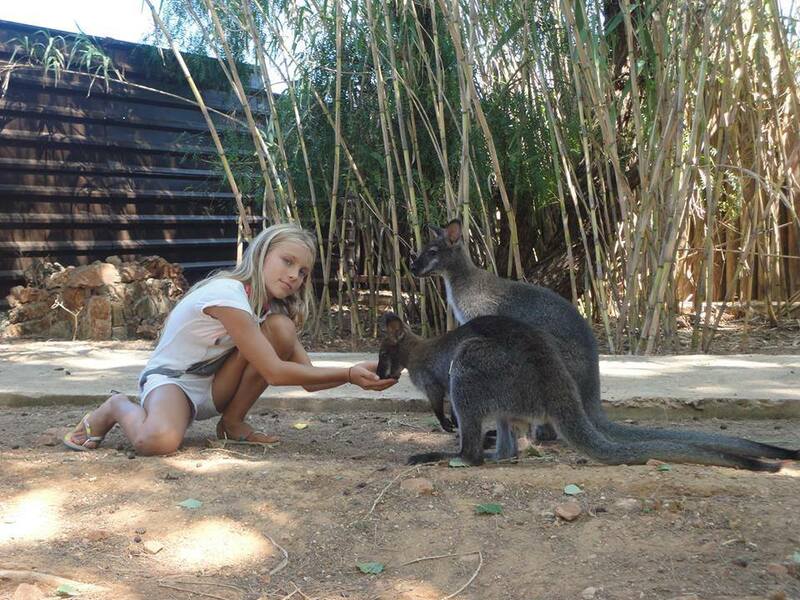 Why go: Children will be wide-eyed with excitement at this family-run zoo set in the shady forests of inland Algarve. 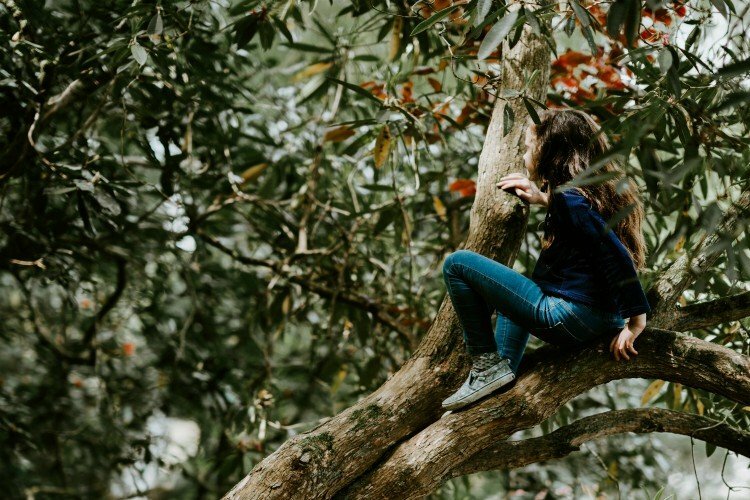 It offers a wonderful opportunity for animal-loving children to observe and interact with some of their favourite species. They can stroke and feed llamas and goats at the petting zoo, and cosy up to snakes, lizards and iguanas at Exotic Land. Younger children may also enjoy the pony rides. 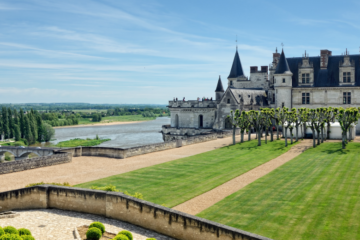 While here, try to catch one of the zoo demonstrations, where crocodiles and birds of prey put on shows. At the end of the visit, adults and children can cool off in the pool and enjoy the water slides. Why go: No family holiday is complete without a trip to the waterpark, and Slide and Splash is one of Europe’s biggest and most exciting. Small swimmers are well catered for in the children’s area, where the shallow water contains elephants spouting water and dragons with slides on their backs. For the more adventurous there are the Banzai slides where siblings can zoom down side by side, the steep drop of the Kamikaze, and – for only the bravest – the twisty Black Hole. Scary though these may sound, safety is paramount here and each ride has a lifeguard. 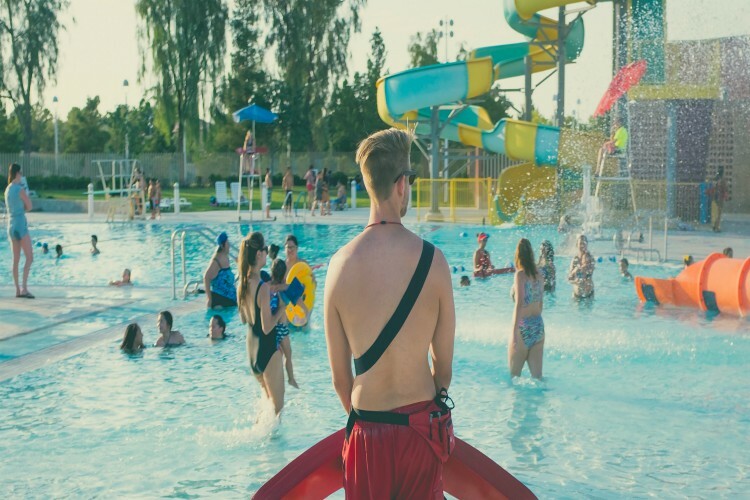 There are several cafés serving food for hungry families and plenty of shady spots for relaxing too: you can easily make a day of it at Slide and Splash. 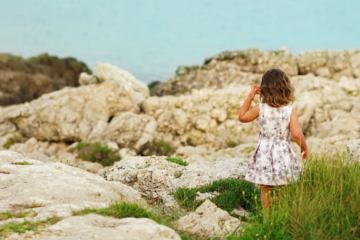 If the Algarve sounds like the kind of place you and the kids can have an absolute blast, head over to our guide to Algarve resorts to learn more about what the region has to offer. Then talk to our helpful concierge team! 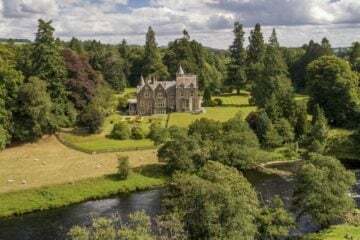 Just tell them what you’re looking for in your ideal accommodation and they’ll get back with a great selection tailored to your needs – and of course, they’re there to help you book too!